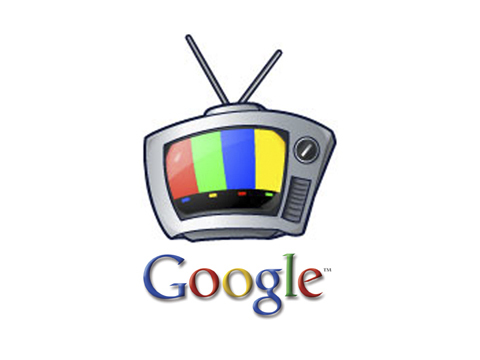 Why should we take Google TV Ads seriously? We, the people in the traditional media businesses, are strange creatures. Having been on top of 90% of the media revenues for years and years our beliefs are strong, we are dangerously naive, and our vision increasingly myopic. We still see the development and “digitisation” of media a phenonmenon similar to our young children wanting to hook their play stations to the TV, while we want to watch our afternoon comedy. Nothing to pay attention to here, the children will eventually get over it. This is exactly the same attitude I came across in a recent discussion on IPTV, hosted by Alumni of a prestigious business school in France. This discussion took place last week in London and the panel consisted of speakers from two of the key broadcast organisations in the UK, and of some high energy start-ups in the area of internet video. One member of the panel, from a prestigious TV distribution platform in the UK, dismissed Google TV ads as something “just in the US, and not delivering on core fundamentals”. Crap! – It redefines the way TV is targetted- hence how it is measured, hence how it is traded. Their approach would deliver in the age of digital TV, and the traditional approach does not. – It challenges the decades long incestual relationship of the research agencies and media owners. Google’s data is more transparent, more real time, and offers more analytics. If there is one thing you can trust Google to do, it is number crunching. – It helps media owners maximise revenues and advertisers reach, in the age of fragmented on-demand platforms. Traditional models can not even cope with PVR/DVRs. – Most of the big players in the media and research industry are likely to term Google’s work as something that has a limited scope but would then go and do something similar to Google TV Ads and use their scale to make it sound better. They will. And if we still do not get it (and I have a feeling we perhaps would but not in the short-term), we deserve to live in a world where most of people still like to be told when they should watch something that they do not want to watch to begin with. We might as well. You are not the only one worried about accomodating your Game Console, your satellite receiver, your PVR, your Freeview box (Digital Video Broadcast Receiver, for people outside the UK), and your DVD player on your TV trolley. The good news is that this battle of space is becoming equally important for the big players who are selling you those boxes. But lets be honest, who do we think is truly best positioned to deliver an all-in-one box? Do we think Sky+ would one day come with a built-in DVD player, or a DVD player would throw in a free Freeview box built in? If you think about it, It is the game consoles that have pretty much every piece of hardware that may be required to deliver an all-in-one experience, and more. The marriage of gaming with the rest of the audio-visual entertainment has been pending, but seems to be shaping up quite fast lately. 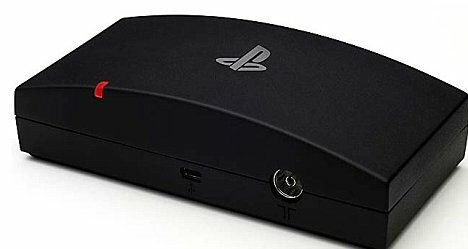 Sony just announced a small little addition to their PS3 consoles. Something called PlayTV priced at just £69. This small little gadget instantly turns your PS3 into a freeview receiver, and gives it a PVR capability. This is in addition to their movies and TV programmes download service that they announced sometime back. How are you going to be reminded to switch between your endless hours spent on Grand Theft Auto, and the news on the US elections? While you record a football match, and get ready to enjoy your new blue-ray release of The Dark Knight? Oh and you also need to remember to download the old episodes of Porridge? How are you going to manage all of this? Easily I say. By the way, a recent study in the UK reveals that PVRs/DVRs can help improve a relationship! The general percetpion as we all know is that the game consoles can actually spoil relationships. Not if they both come in one box, you reckon? But guess what, in a recent UK based research it showed that PVR/DVR owners watch 5% more advertising. According to the research, the increased TV viewing offsets the potential to fast-forward through the commercials. I wonder if it is today’s reality confronting yesterday’s myth, or a myth in the making itself. I think some of this can be attributed to the UK’s commercial environment in media. There is a regulation on the amount of advertising that can be shown per hour, and the “irritation” or “fatigue” levels of TV ads are generally lower in the UK. This is compared to the markets like the US where during a live-broadcast of a major sporting event, they stop play to give time to the insane clutter of advertising to be shown to the consumers. If I were them, sitting pretty without the knowledge of how long a damn commercial break is going to be, I would skip ads… wouldn’t you? Another interesting insight from the same study is that the likes of IPlayer, C4OD, or ITV.com have not eroded the traditional TV viewership. The web-based viewing actually leads to more time being spent infront of the traditional TV. The overall audiences have actually increased by 4% over the same period last year. Now we all know that increase in supply of content leads to a very limited the increase in advertising revenues- that only very initially. The real increase is only tied to delivery of audiences. Ultimately the increased content leads to fragmentation of advertising revenue into showing of ever more number of commercials. According to this study, a total of 2.4 billion commercials are shown every day, or a massive potential of commercial vieweing of 42 per person! Happy planning your TV! If I were you, I would invest in high potential and growing area of web-based TV viewing (mind you that is almost on the traditional TV screens now with Wii’s Iplayer, and XBox 360’s BT Vision), while being careful about not losing audiences through the good old idiot box. If the internet TV, or broadcast over IP is such a rage, and if YouTube is all we think the future of content has to offer, have you ever wondered why TV sets manufacturers are not responding to the change and giving their idiot boxes a bit of a smart “processing power”? I have been personally trying to look for news that might tell me that one or two TV sets manufacturers are going to add features. Fucntions such as a Wifi connection, ability to perform certain tasks such as a calendar, or a task-list or even a contacts book etc. Afterall if home PCs are the order of the day, and if the PCs of today are turning into TVs of tomorrow, why cant TVs of today be PCs of tomorrow? Well my prayers were answered and someone thought of making the box a bit more smarter than putting just a hard-drive in it for recording of programmes (LG etc). Toshiba recently announced the arrival of TV sets in early 2009, that will have built-in applications which will allow the viewers to connect to the internet via Wifi. Toshiba are also actively talking to application builders to develop widgets for this TV sets. It is all very exciting anyway. I shall wait for such TVs to come out. I want my next HD TV to have a built-in PVR, a Wifi Connection, and an application that will play my DivX files- remotely from my Mac or PC!